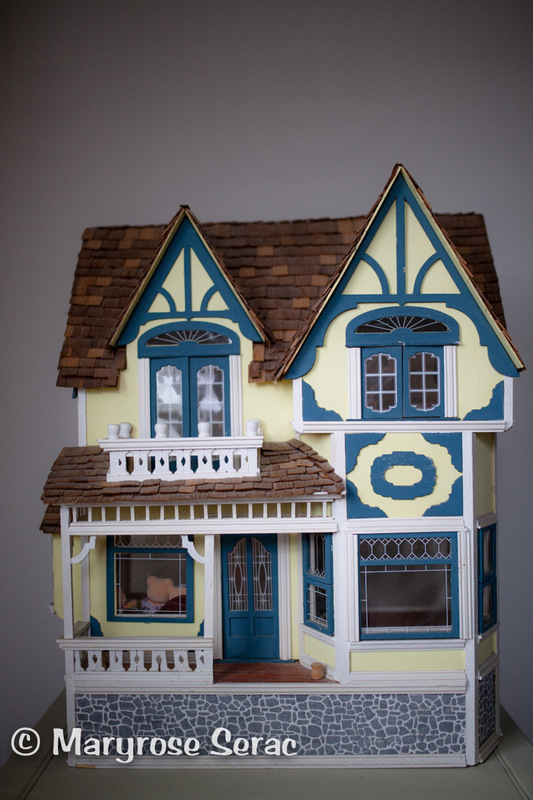 I remember as a kid wanting a dollhouse – a beautiful replica that I could decorate and furnish. 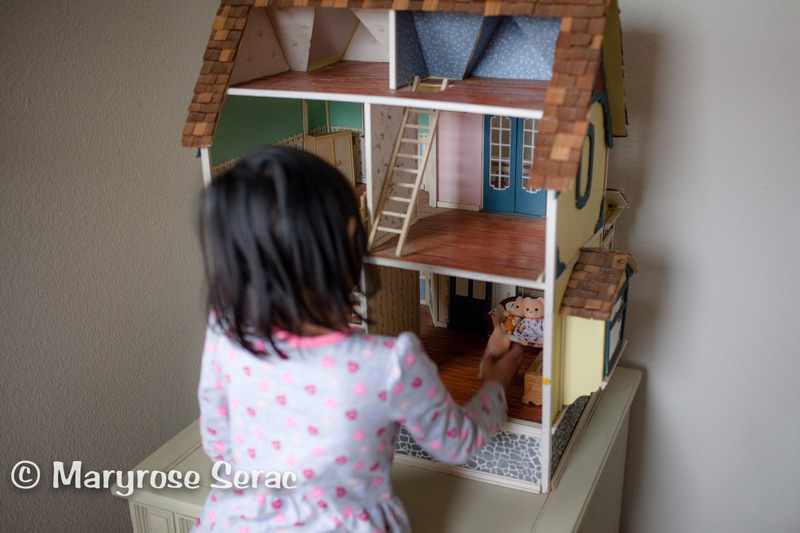 Back then a dollhouse like that fell in the category of a pony or a ferris wheel in the backyard. I could wish for it but we weren’t getting it. The nostalgia for it never went away. It wasn’t something I was aware of lingering in the back of my mind until bam – it hit me – full on, like a house. 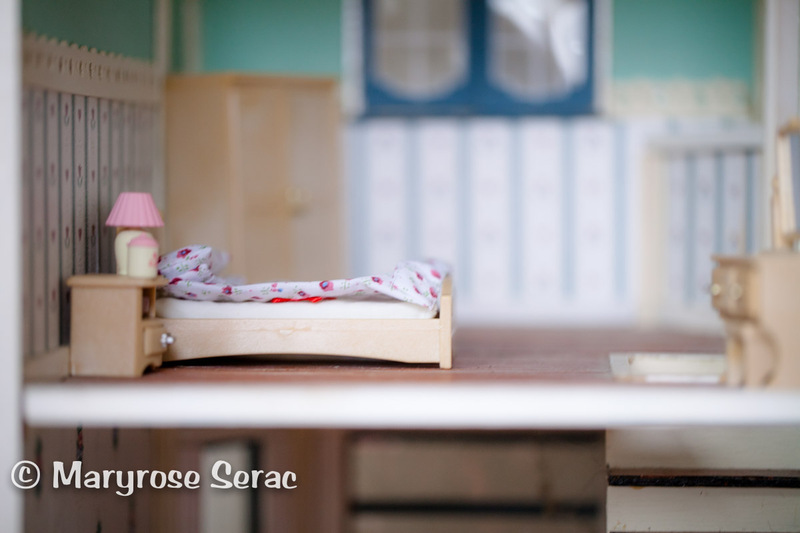 A dollhouse, to be exact. My cousin and I were thrift store hopping the other weekend, searching for materials for an upcoming terrarium party. Yes, a terrarium party. That’s how we roll at our age. 🙂 Don’t be jealous of our fairy, gnome garden-scapes. We were loading up the Pilot, which was already packed with a new buffet, side table and other non-terrarium related finds. 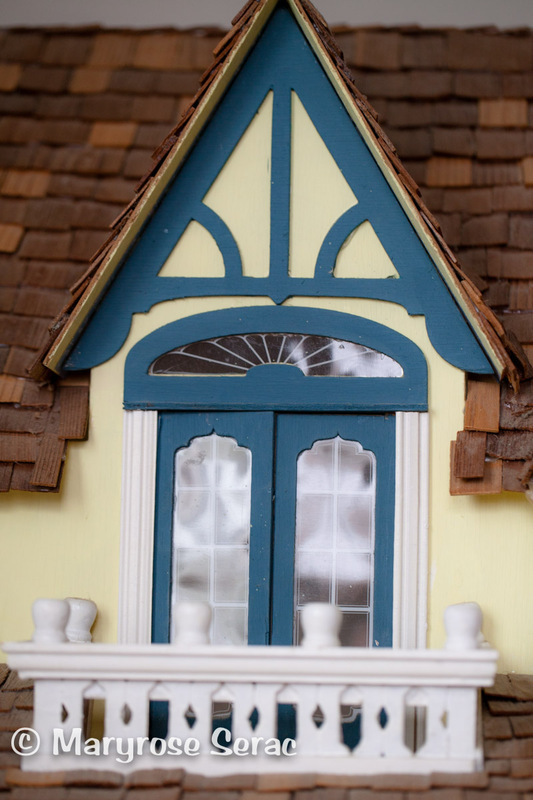 I happened to glance over to the donation door of the local Goodwill and there it was – a beautiful Victorian dollhouse. We walked over, my 4-year old daughter holding my hand. I asked her “Malia, do you want this?”, while nodding my head up and down; as if I needed her validation to make this purchase. She glanced at it, looking it up and down and gave me a nonchalant, “Yes”. 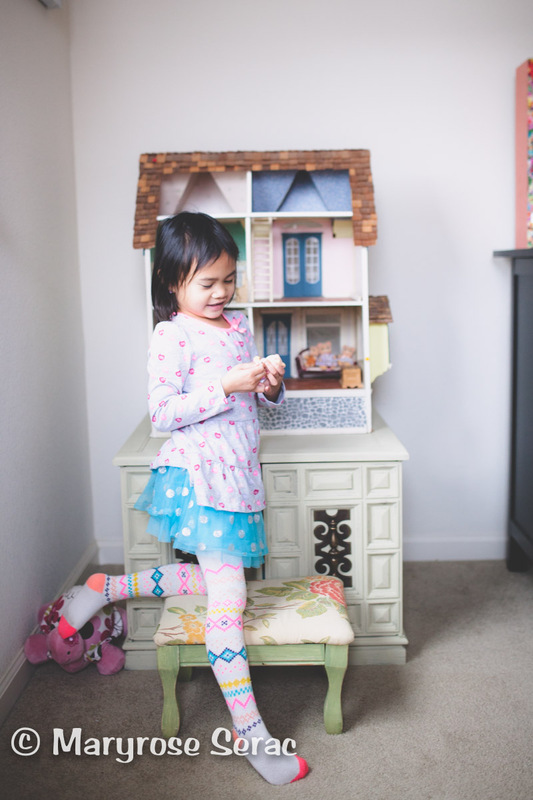 Oh sweetie, you are NOT too cool for a dollhouse. You’ll thank me later kid. So we waved down a sales rep and asked how much they would sell it for. I was expecting a reply of $40-60.00. She said “Give me $15 for it”. After a little back and forth, (yes, I still negotiated even though I was willing to pay much more) we got it for $12.00. And a little girl’s dream just came true. The little girl, of course, being myself; the little girl of my nostalgic youth who wanted a pony and a ferris wheel. So here is the wonderful thrift store treasure that I found. I love the attention to detail from the wallpapered walls and the hardwood flooring to the wood shingle roof and the ornate balcony. 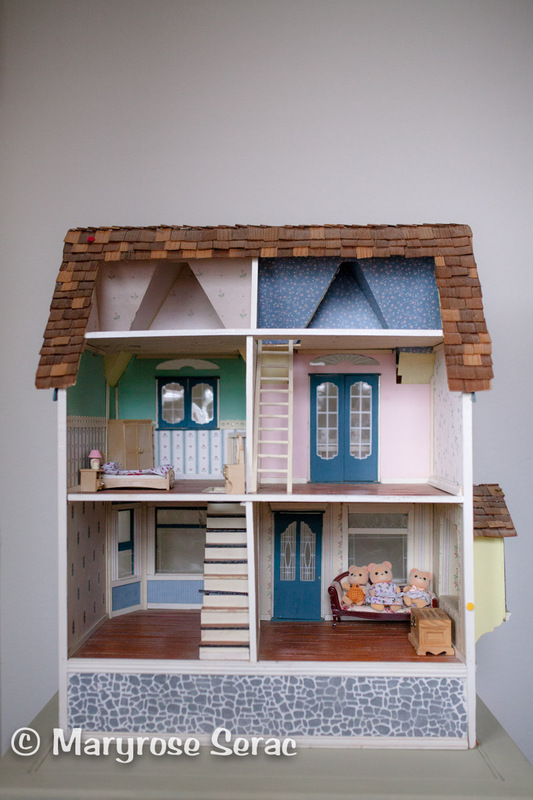 I look forward to Malia growing up with it and filling it up with wonderful pieces over the years. Finally. I hope one day to fill it up with amazing furniture pieces that replicate the dream I have for a photography studio/event space. 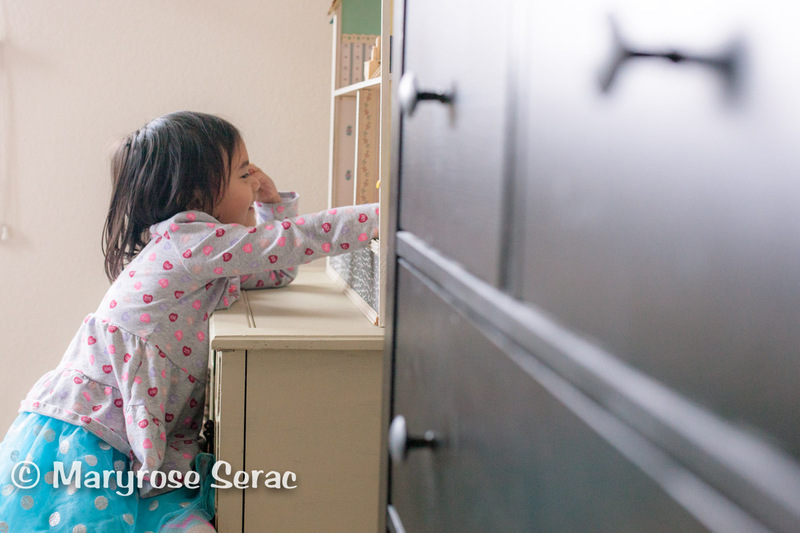 For now, my daughter enjoys playing with her Calico Critters furniture and family. What childhood dream would you love to fulfill? Share it in our comments!